Sizes quoted are for the longest measurement whether it's the height or width for any shape. 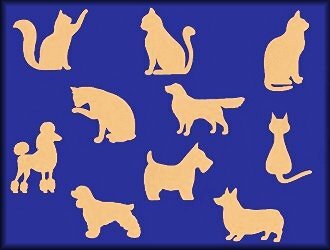 Prices in this section are discounted around 20% off compared to the individual shape prices ! All shapes are 4mm thick unless otherwise stated. 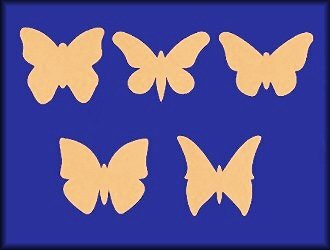 Set of 5 different Butterfly shapes. 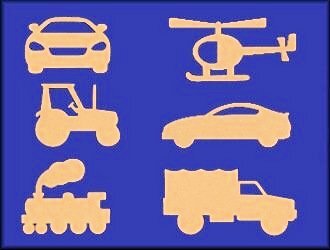 Set of 6 different Vehicle shapes. Ideal for a boys toybox or bedroom. 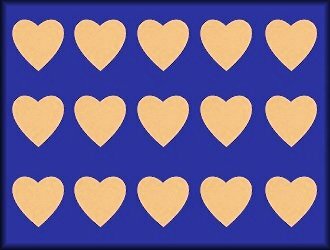 15 x Standard Shape Hearts. 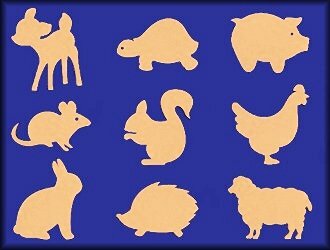 Set of 9 Animal shapes. 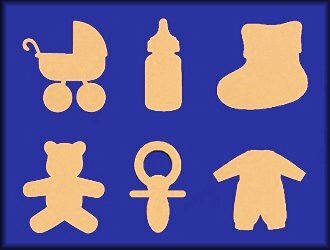 Set of 6 Baby related shapes. 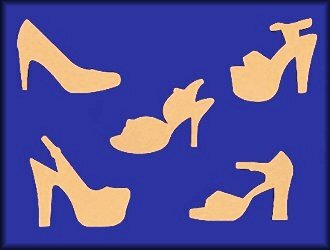 Set of 5 High Heel Shoe shapes. 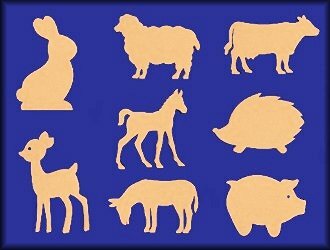 Set of 8 Animal shapes. 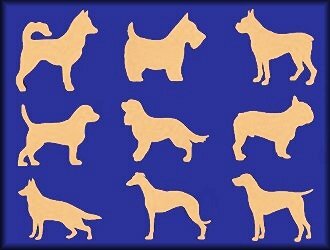 Set of 9 Dog shapes.